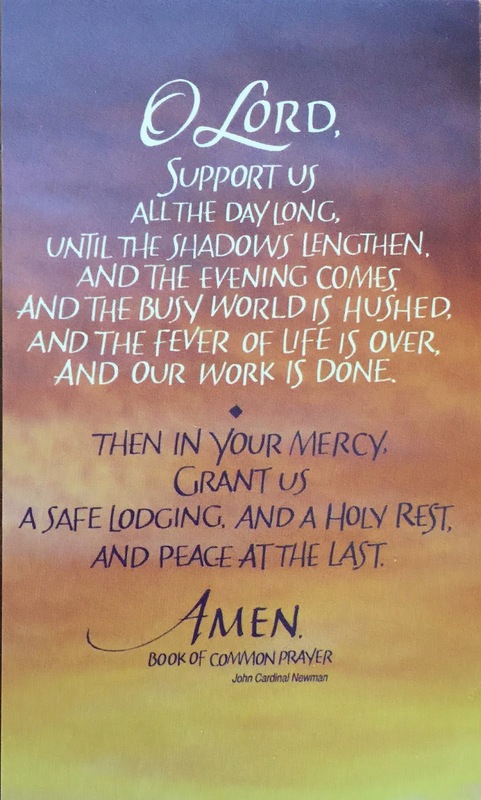 It is our tradition to spend the month of November (from All Saints day) turned inward remembering those family members, and friends, who have left this life. It is a season that Robin and I find both healing, and spiritually nourishing, as we allow sadness and grieving the freedom to move to the joyful recognition of lives gifted to all, and cherished for their being. The Thanksgiving holiday is now just two days away, and shortly thereafter we will move into the advent season, and Christmas. A busy time of the year to be sure, and one that often conflicts with lessons learned from our time spent walking the Camino (got to work on that). The emotional path from All Saints Day to Christmas is always journey of discovery and joy. Beyond the usual call to table, and Christmas gifts, there stirs a quiet and joyful anticipation. We await a birth, a new hope, that will forever change those who choose to “harden not their hearts.” It is with this blessing of renewed faith that Robin and I will, once again, set out to walk the Camino. 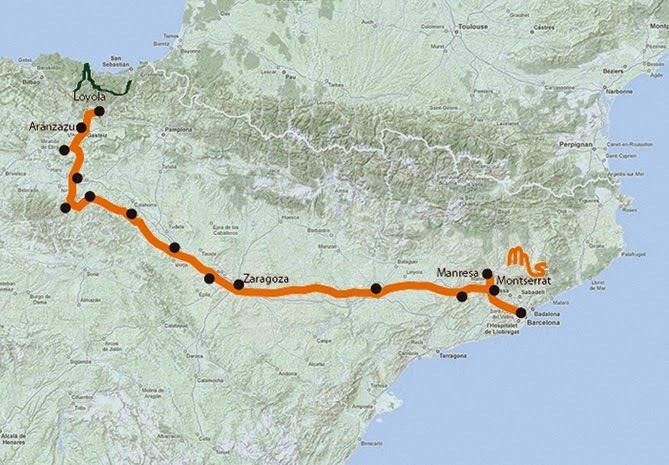 We will be leaving in early January, and will be walking, not towards Santiago, but towards Manresa (close to Barcelona) along the Camino Ignaciano. The route we will be following is one that was walked by St. Ignatius of Loyola in 1522. Manresa is where St. Ignatius spent several months in a cave gathering his thoughts into what would later lead to the very well known, and still followed today, Spiritual Exercises. We will fly into Bilbao and then make our way into the mountains of the Basque Country and to the Sanctuary of Loyola (in the town of Azpeitia, where St. Ignatius was born). The 400 hundred mile journey will take us generally southward from the Basque mountains down into the vineyards of Rioja where we will swing slightly south of east to parallel the Pyrenees. On the way, after Rioja, we will also pass through the provinces of Navarra, Aragón, and Catalunya. This is a challenging walk with varied terrain (mountains, hills, plains, desert). It is also a route that is not heavily traveled, especially in the winter. Robin and I do not expect to meet a single other pilgrim, but we will see. I hope to be pleasantly surprised. A little company would always be appreciated. Weather wise, the Basque mountains can be very wet in winter (or ladened with snow). We will have to see where we can pass through and where we might have to deviate (this is not a snowshoe trek). As we move further along the desert area east of Zaragoza can be very cold and windy. Overall, the weather in this part of Spain is probably best characterized as unpredictable. We will just have to take it as it comes. We will be carrying the bare minimum (12.5 pounds for me), but will still be well prepared for the wet and cold. As I recall St. Ignatius set out for Manresa at this same time of year (Jan-Feb). I sort of like that. My packing list is here. I’ll post Robin’s once she gets it fine tuned. Pilgrimage is a call of the Spirit and I am always drawn to a scripture quote from the Book of John that just seems to capture what that means for me.